W.C.C. Hole 2: This par five has a lot of sand to deal with, especially around the green, which has a semi-blind approach due to a large bunker cut into a little mound. Positioning on the second shot is key to birdie. W.C.C. 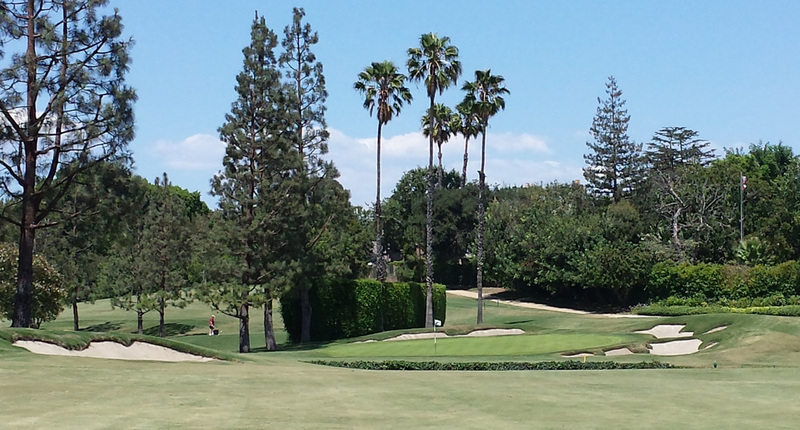 Hole 3: This par four is a dogleg right that slopes right too. Getting close to the bunkers off the tee, but not in them leaves the ideal angle. The green has to deal with a creek/ditch that will gobble up bad shots. W.C.C. Hole 4: This good par three has the creek short, which also wraps left of the green. There is a big tier in the green and the player needs to be on the correct side of that to help make par..
W.C.C. Hole 7: This is one of the best tiny par threes in golf, with a really small green and sand trap punishment surrounding about 87% of the green. If one hits the green, the putt is not long. W.C.C. Hole 8: Another really good par four, this one has a second shot over a creek to a shallow and undulating green that slopes from right to left. 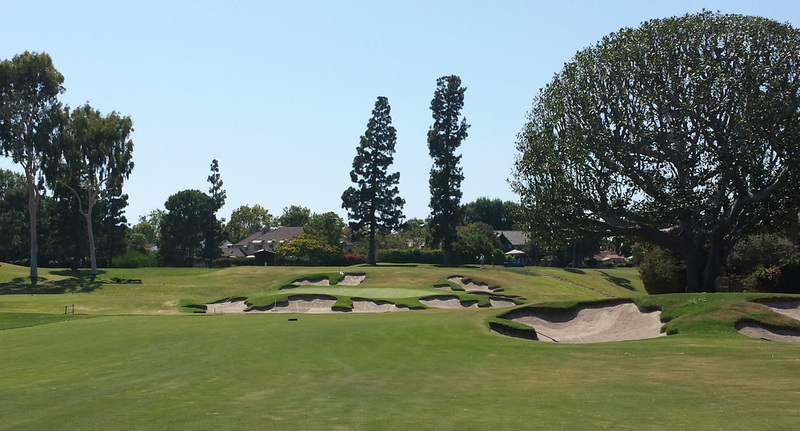 Finding the bunkers long or right will leave an almost impossible par save. W.C.C. Hole 10: This course features varied and outstanding par threes, and the 10th is no exception. The green is an angled sliver of happiness cut between deep pits of woe. The hole is short, so high, soft shots will be accepted by the green, but club selection depending on pin placement is paramount. W.C.C. Hole 11: This drive on this par four is uphill and the player should get as close to the green as is reasonable as the putting surface is elevated, small and surrounded by bunkers yet again. W.C.C. Hole 12: This player must avoid the creek that swings and swerves its way down the left side of this fairway and up relatively close to the green. 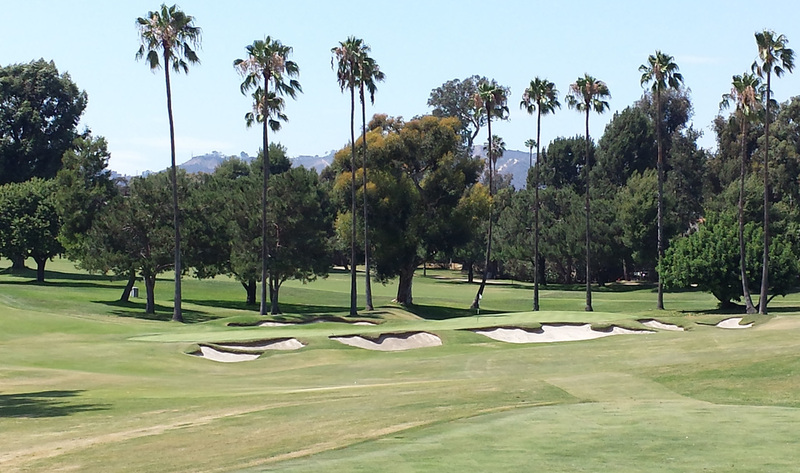 Other than that, it's a relatively straight, but long par four. W.C.C. Hole 16: This hole is all about the obvious, miss the creek on the shot to the green. Of course, once again, the green is small and angled, so that is not completely easy to achieve. W.C.C. Hole 18: The finishing hole again requires good shot making to avoid the creek trouble, with the approach shot being especially nerve wracking, especially for pins cut to the left side of the green.